“The trail ends here little brother.” Chances are, you are already quite familiar with The Jungle Book. It’s widely regarded as a classic, and of course there’s the Disney version that we all know and love as well. 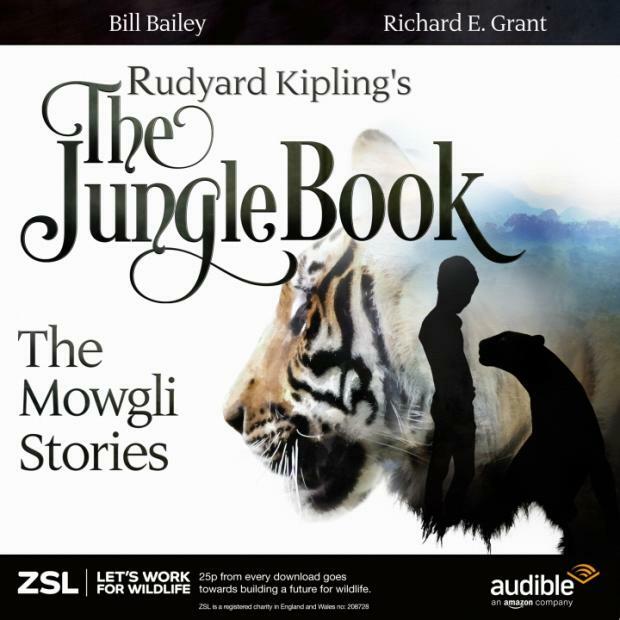 For those who want to dig a little deeper than the saccharine version presented on the film, reading the original Rudyard Kipling tale is a great way to enjoy the story as it was meant to be. Though all of the characters you know and love are present in the story, there are quite a few differences in how they are portrayed, making it feel like both and old favorite and a new find at the same time. After a bloodthirsty tiger separates a young Mowgli from his parents, a kindly wolf family takes him in as raises him as their own. Though there is much to fear in the jungle(the unhappy tiger, not the least), his parents raise him well to be a young steward of others, with the help of a tough panther, a friendly bear, and some other unexpected friends. Though he is skilled in the way of the jungle, young Mowgli is a kind boy who prefers to help rather than kill. The book follows Mowgli as he grows from a helpless toddler into a capable young man. As Mowgli grows, changes in the forest begin to stir things up in his formerly idyllic life. Try as he might to hold on to the final shreds of childhood, Mowgli must become a man – and fight for what is right. Whether you just want a little something to listen to on the commute, or a story for the whole family to enjoy on a vacation road trip, an audio book allows you the luxury of reading a story without needing to actually read it. The full voice cast, convincing sound effects, and even background music at times makes for an entertaining listen. The sounds of the jungle make for a perfect background to the animal filled story. Though the action is at times intense, it’s completely appropriate for children, making a great choice for a family to enjoy together. The miles will fly by as you fall in love with The Jungle Book all over again.